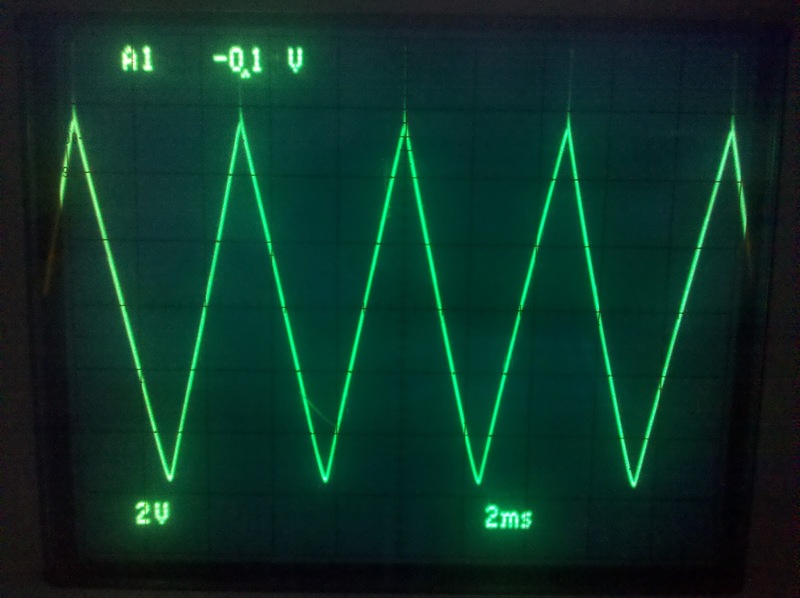 Steiner Synthasystem DIY: It's A Sine! 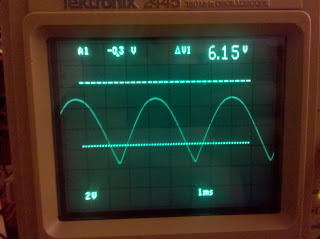 Finally got my second VCO producing a sine wave this evening! 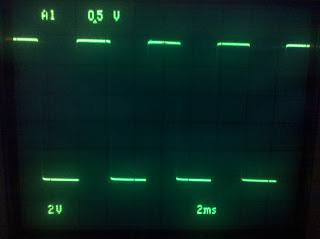 Since both oscillators used stuff from the same batch of components, I measured the outputs of the voltage dividing trimpots (Sine Shape and Sine Shape Bias) on the working oscillator, and dialed them in to the same thing on the other oscillator. 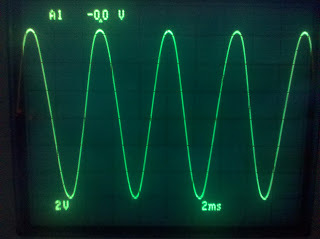 (All the other waveforms were nearly exactly the same.) And, guess what? It worked! Just a tiny bit of tweaking, and I had it looking pretty nice. 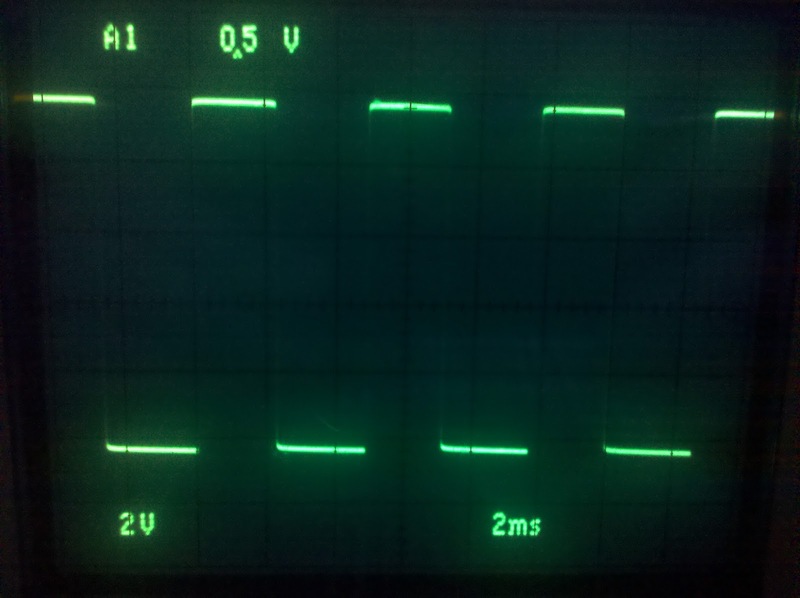 So, meet the four waveforms! As you can see, there's a bit of a spike at the top of the triangle. 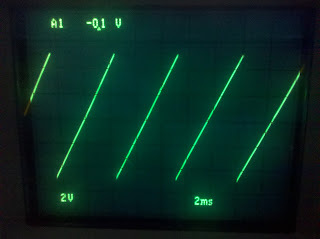 It is the same for both modules; I'm hoping to eliminate it through further trimming, but it isn't problematic... the triangle sounds good. I still need to get the range and 1V/Oct fully calibrated, but I have it pretty close for just one pass at trimming them. 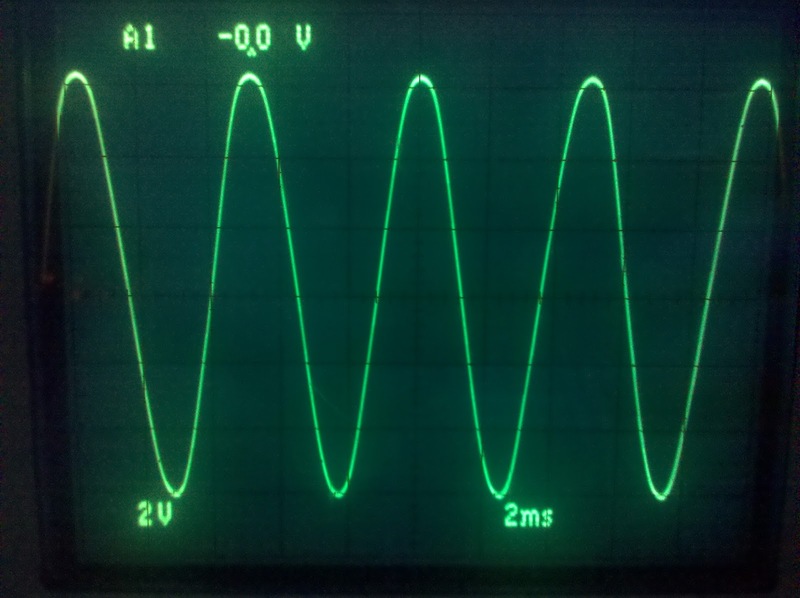 It is not the same "bad sine" as described in the build docs, which is a sine with distorted peaks and large Vpp. 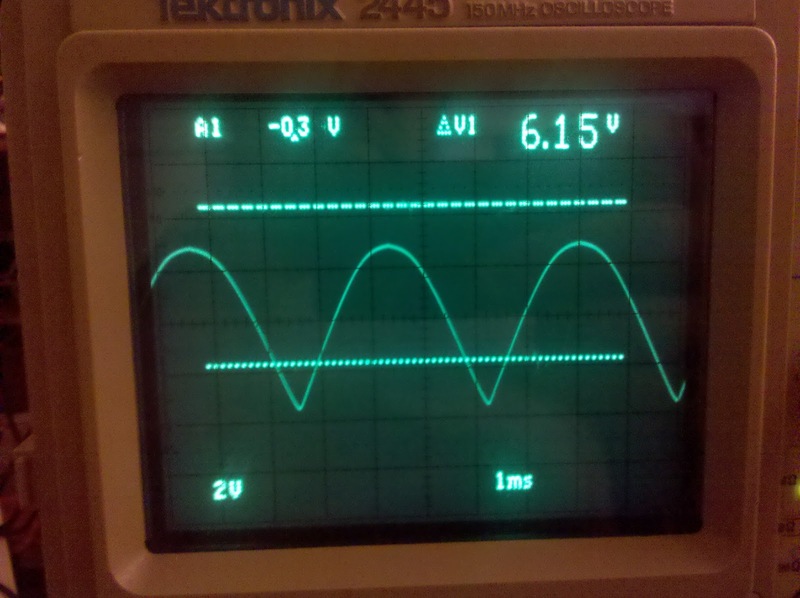 This one has too small of a peak-to-peak voltage, and this is the best I could get it (it was a triangle at some settings). 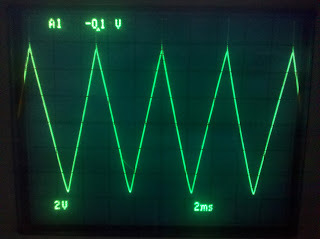 Anyhow, if you get this waveform, your oscillator isn't build wrong, but you need to keep on trimming!